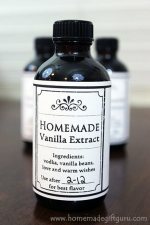 Interested in Creating Homemade Gifts? On a budget? Hoping for less stress during the holidays? Wanting more meaningful traditions for yourself and your family? Whatever your motivation is to create homemade gifts... welcome. 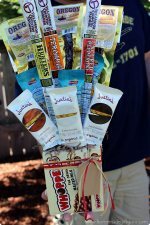 This website is devoted entirely to homemade gift ideas! The purpose of this site is inspiration... Inspiration to create, to give and to enjoy the little moments of life that come with food, friends, family, fun and creativity. Whether you're the do it yourself (DIY) type, you're on a tight budget, or you're just looking for unique gift ideas... this site will be a fun and helpful resource and I hope an inspiring place to browse! Here's some homemade gift ideas you can put together now, for year round giving. Pssst... they actually get better with age! Need a fun last minute gift idea? 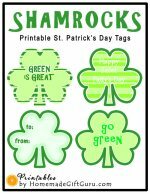 Check out this collection of free ideas for DIY gift certificates PLUS free printable gift certificates and homemade coupons! Gift certificates made special for MOM! 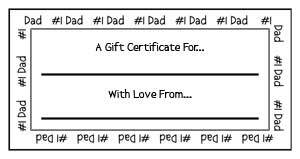 Gift certificates JUST for Dads! 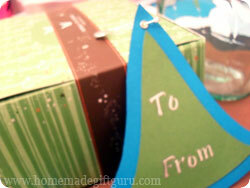 Creating gifts is an excellent creative outlet and a perfect way to share some of your light with the world. If you need an excuse to create gifts, look below! 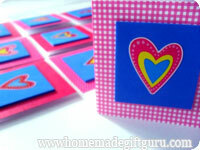 February 14 is Valentine's Day... Homemade Valentine Gift Ideas! January is also National Hobby Month, National Bath Safety Month and National Braille Literacy Month... who knew??? 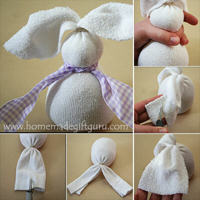 Make A Super Cute No-Sew Sock Bunny!